Toni (Helen Jane) Dummermuth passed away on Sunday, November 27 at Avera Prince of Peace in Sioux Falls, SD. 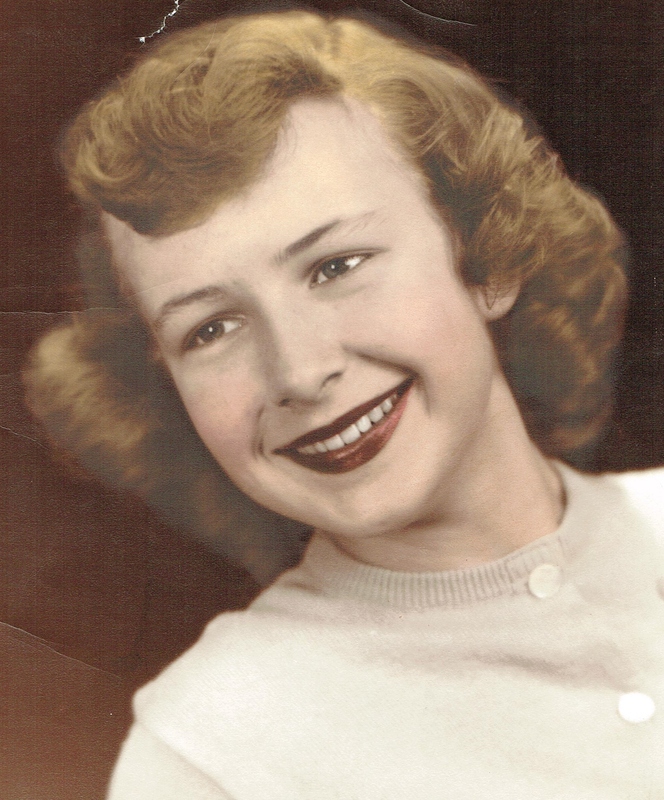 She was born on January 5, 1934 to Norbert and Helen Kenefick in Sioux Falls. Her father gave her the nickname of Toni at a very young age and she took to it immediately. Toni attended Cathedral grade and high school and graduated in 1952. She met Ray Dummermuth shortly after her graduation and they married on November 17, 1953. In the early years, Toni was a stay at home mother to her five children. When her youngest son Tom turned two in 1969, Toni went to work at Suburban Lanes in the cafe. She moved to the front desk as the assistant manager until 1975. When Riddles Jewelry opened in the Empire Mall in 1975, Toni went to work selling fine jewelry. She took her sales skills to the JC Penney jewelry department for the next few years and in the early 80's she moved to the Liquor Loft. In 1986, she began working at Hy-Vee on South Minnesota Avenue in Customer Service. In 1994, her husband Ray retired and they moved to their dream home near Lake Norden, South Dakota on Lake Poinsett. Toni transferred to Hy-Vee in Watertown and moved to a part time position in order to travel with Ray to visit their many friends and relatives. On March 7, 1997, Toni and Ray returned home from a five week vacation across the Western United States. Ray suffered a heart attack that day and passed away. Although heartbroken at losing her husband so early into his retirement, Toni remained at Lake Poinsett and continued to work at Hy-Vee. She persevered through tough times that spring of 1997 when Lake Poinsett flooded her dream home as a result of record snow fall in the winter of 1996/97. She rebuilt/repaired the lake home and stayed until 2006 when she moved back to Sioux Falls. She transferred to Hy-Vee on 26th and Marion Road. She worked as a cashier and was famous for her Christmas fruit baskets during the holiday season. She gave herself the nickname ‘Basket Case’ and was well known by many a customer who shopped at Hy-Vee. If you came through her line and paid using check or credit card, she would look at your name and associate you with either one of her family members or many of her acquaintances. Toni had a huge friends and family network and made it a point to know about you and important events in your life. She retired from Hy-vee in January 2014 due to poor health. In August 2014, Toni moved to Avera Prince of Peace Assisted Living in Sioux Falls. She soon acquainted herself with the local residents and became a main fixture at Bridge and Bingo tournaments. Toni had an old school functional slot machine in her apartment and the residents and staff would stop by to chat and play the nickel slots. Toni always kept nickels handy but made you put any winnings back into the machine. Toni was a master knitter and created and sold baby sweaters to many of the staff and visitors to Assisted Living. In the Summer of 2015, Toni moved to the Boulder Creek wing in Prince of Peace Long Term Care. She remained there to joke with the staff, play bingo and bridge, and occasionally knit sweaters. She displayed her sweaters in the hair salon where they sold immediately. Failing health limited her ability to socialize at bingo and bridge. Although she rarely left her room in 2016, she never lacked visitors. She loved to visit and learn about what was happening in the ‘outside’ world. During Thanksgiving week, she reached out to many friends and family to say her goodbyes. This was difficult as Toni was always a vocal force of nature. She knew her time was coming and wanted to have that ‘last’ conversation. Toni was a social butterfly and found every opportunity to visit. At the ‘hair bender' (beauty salon), over coffee or a ‘stiff drink’, or when she was out and about running errands. If you saw Toni in a store or on the street, you were guaranteed to have a 15 minute or more conversation. She had a memory like an elephant and could recall details of your past meetings and family happenings. She loved to knit and created many a custom afghan blanket or sweater for a friend’s child or grandchild. Toni is survived by her five children: Bob Dummermuth of Wilmington, North Carolina, Linda Duba of Sioux Falls, SD, Rick Dummermuth of Des Moines, Iowa, Jon Dummermuth of Groton, Connecticut, and Tom (Tammy) Dummermuth of Tomah, Wisconsin; eleven grandchildren: Jay (Kim) Dummermuth, Katie (Anthony) Brewington, Marc (Nikki) Dummermuth, Shawn Dummermuth, Amy Duba, Allison Duba, Andrew Duba, Stephen (Jordanna) Dummermuth, Casey (Shneer) Raeburn, Jayme Dummermuth, and Maddy (Colton) Novicky; and two great-grandchildren: Sierra Dummermuth and Namal Raeburn. She was preceded in death by her parents, her sister Gretchen Nelson, and her husband Ray Dummermuth. Visitation will be Thursday, December 1 at 5:00 pm with the family present from 6:00 - 8:00 pm at Barnett-Lewis Funeral Home in Sioux Falls. Mass of Christian Burial will be Friday, December 2, 2:00 pm at St. Michael Parish in Sioux Falls with burial to follow at Woodlawn Cemetery in Sioux Falls.